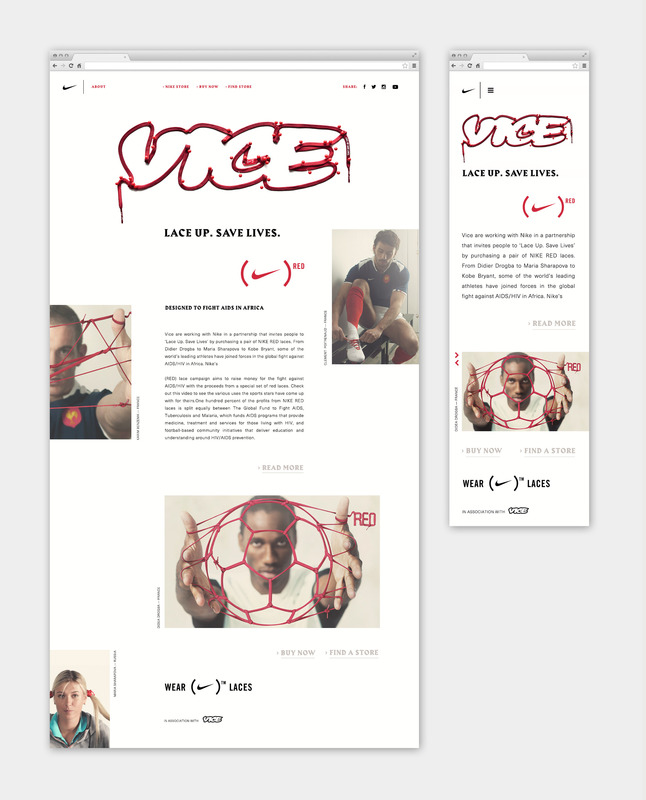 Design | Art Direction Vice x Nike A visual campaign created for a collaboration between Vice & Nike on the 'Lace Up Save Lives' campaign. 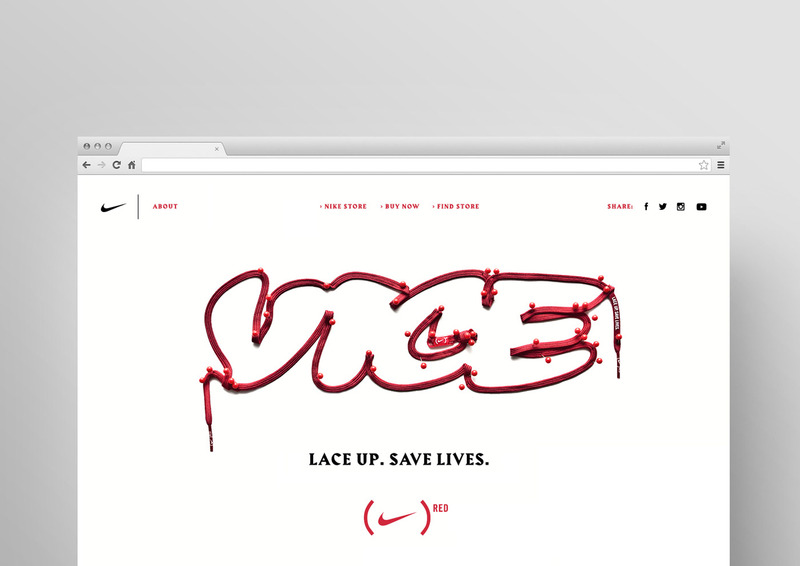 Our idea was simple, we created a replica of the Vice logo using the 'Lace Up Save Lives' shoelace. 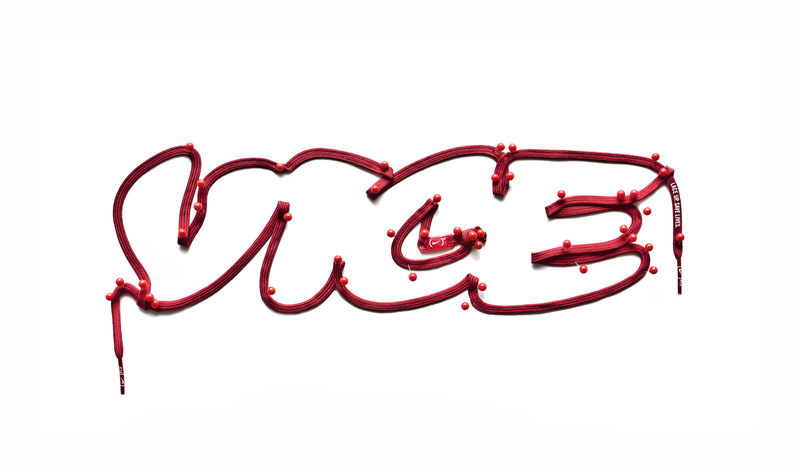 This worked really well visually and conceptually. 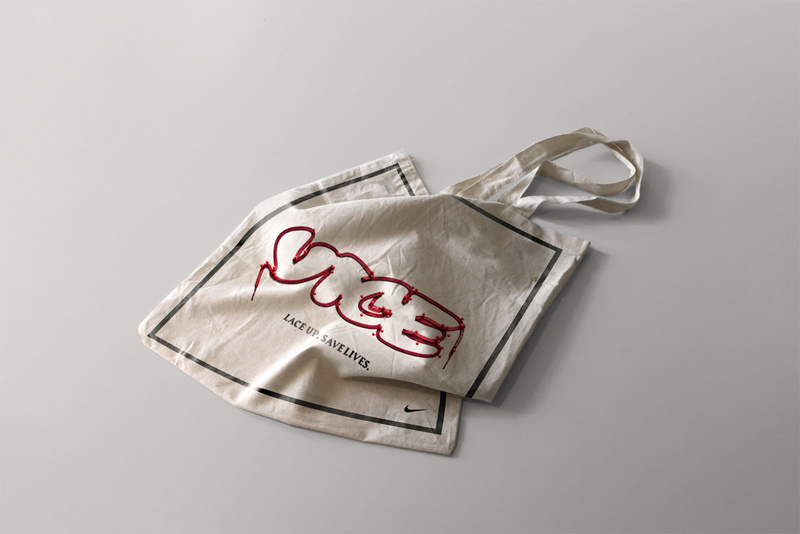 We created ads, t-shirts and tote bags to help communicate the campaign.